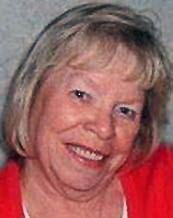 WATERLOO - Sandra L. Van Besien, 69, of Waterloo, died Wednesday, Dec. 14, at Covenant Medical Center after a long illness. She was born June 2, 1942, in Waterloo, daughter of Clifford "Kelly" and Mildred Britt Howe. She married Richard R. Van Besien June 10, 1961, in Waterloo. She worked at Metropolitan Life Insurance Co., Waterloo Industries, John Deere Waterloo Tractor Works and Dermatology Associates, retiring in August 2011. Survived by her husband; three daughters, Kelly (Gene) Hansen and Bridgette (Jeff) Miller, both of Waterloo, and Sara Jordan of Cedar Rapids; a son, Mark (Deanna) of Waterloo; 12 grandchildren, Blake (Amanda) Hansen, Holly (Brian) McComb, Bryar Hansen, Jacob and Joshua Van Besien, Brittany, Trevor, Vinny and Hope Howard, Alexander and Mackenzie Jordan, and Maddy Miller; four great-grandchildren, Liam and Camdyn Hansen, Brayden McComb and Jaden Howard; a brother, Curt (Melinda) Howe of Tennessee; and a sister, Betty Gauger of Waterloo. Preceded in death by a daughter, Amy Howard; and a brother, Kenneth in infancy. Services: 11 a.m. Monday at Sacred Heart Catholic Church, with burial in Mount Olivet Cemetery. Public visitation from 3 to 8 p.m. today at Hagarty-Waychoff-Grarup Funeral Service on South Street, with a 4 p.m. rosary and 7 p.m. vigil. Visitation will continue for an hour before services Monday at the church. Memorials may be directed to Cedar Valley Catholic Schools or Northeast Iowa Food Bank.